As December sets in, daylight hours decrease and the risk of frost, wind and rain increase. December can, however, be a very picturesque time in the garden and there are a few essential jobs that can be done to make sure your garden stays happy and healthy. And as this is a month where we naturally spend a lot more time indoors, gardening is the perfect way to get outside and enjoy some fresh air. Now is the time to harvest those delicious root vegetables that you sowed earlier in the year. Leeks, parsnips, winter cabbage and Brussels sprouts are all ready to dig up, and they’ll make the perfect companions to this year’s Christmas dinner. Haven’t got anything in the ground and looking for something to plant now? Although there’s no doubt this is a harsh month for the garden, it’s not as impossible as you might think to add to your veg patch. Raspberry canes and blackberries can be planted from now right up to spring, as well as gooseberries, currants and blueberry plants. It’s also a good time to find a spot for strawberry plants and rhubarb crowns outside in well-prepared soil. 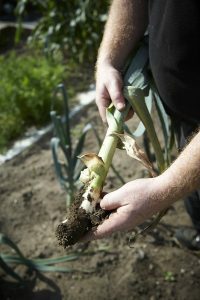 If you’re not using your veg patch over winter, though, make sure it’s cleared with some good quality manure or compost over winter. Don’t fancy braving the cold but want to get some fresh produce on the go? How about growing herbs on your windowsill? Whether it’s a white Christmas or not this year, make sure there’s plenty of food out for the birds who will desperately appreciate it this time of year. They’ll go wild for our fat balls, peanuts, suet pellets and sunflower hearts. Choosing different types of bird feed is one of the best ways to attract more varieties of bird to your garden. 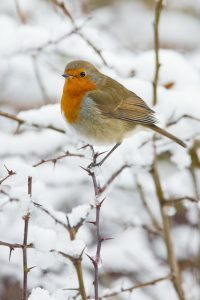 Find loads more advice on caring for the birds in your garden this winter on our blog. Clear pathways to make sure that it’s safe to get around your outdoor space if you need to. Scatter a little rock salt to prevent the area from becoming slippery should it frost back over. Get outdoors and have some fun making snow angels and building a snowman. There are so many ways to enjoy the garden and getting wrapped up warm and embracing the outdoors is definitely one of them. With Christmas just around the corner, it’s a great time to fill your outdoor space with light. Whether it’s with some festive outdoor Christmas lights or a novelty Christmas character, your outdoor space will soon be brimming with personality. And don’t forget your outdoor security lighting – now is the perfect time to make sure it’s all in good working order. Take a look at our entire outdoor lights range here. 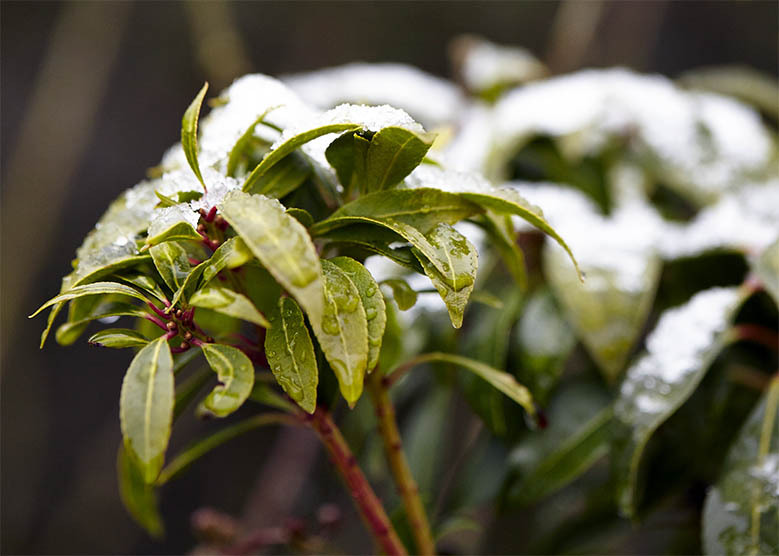 If you haven’t already, make sure all the necessary winter protection is in place in your garden. Put protection fleece on your vulnerable crops, keep outdoor taps and pipes covered and put a tennis ball in ponds to help stop them from freezing over.